Started your first video and completed uploading? Watching more often to check the number of views and subscribers? Felt disappointed with your view counts and watch time? Don’t worry; what you need is an efficient and effective video distribution strategy. 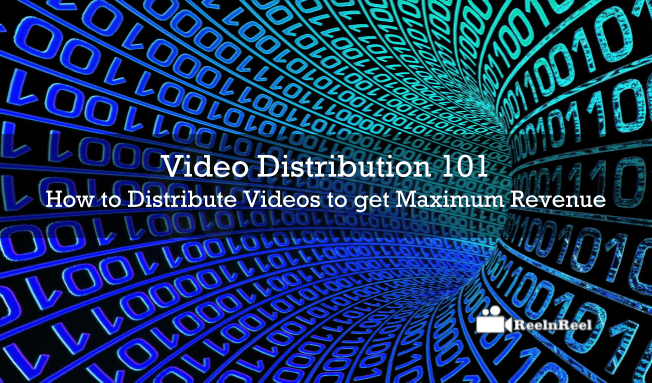 Video distribution plays a key role in your video marketing success. In order to reach a huge audience across the web, your video must be distributed to the right place across the web, and then only you can gain good reach and revenue. For distributing your video content, there are a number of platforms both social media and another video on demand platforms. Plan a perfect video distribution strategy to make your video reach a large audience across the web. Every social platform has its own uniqueness in features and it will impact on your video distribution. So plan to base on the platform you choose for your video distribution. You all know the power of reach on YouTube platform as it allows reaching millions of audience. All you need is a clear distribution strategy. Create best video content with good quality output and your video must reach your targeted audience across the web. Utilize different paid video ads to reach the people and distribute your video. Put your efforts on video title and take care of the keywords and metadata to optimize your content. Your websites and other campaign landing pages are the best places you have to optimize and distribute your video content. More than 60 percent people are watching the video content that is posted on websites and campaign landing pages. So, you include the campaign URL’s and website URL in the video content while distributing your video content on the YouTube platform. Email campaigns are always effective as they are driving better results comparing to other ways of distribution of video content. Include video in your email campaigns as 80 percent more conversions are noticed if you include video content in your mail. Also, go with the email signature as a part of your email campaign with catchy title and hyperlink for better promotion and distribution of video. Facebook is the most used platform when coming to the Video promotion and distribution. So it is very important to have a clear strategy while choosing Facebook platform as a destination for your video distribution. Facebook had featured new tools for better video distribution for marketers. Facebook allows you to reach by connecting the audience with your content. It is simple and easy to distribute video across the Facebook platform. Comparing to other social platforms the shareability is very high when comes to Facebook platform. Vimeo is a streaming video service which had good on-demand video distribution within its platform. It is the best platform for content creators as it offers more options with a handful tools for creators. It is the best platform to get good revenue with your content distribution. VOD is referred as Video on Demand, AVOD Ad-Supported Video On Demand and SVOD is referred as Subscription Video On demand. VOD platform took more time to arrange your upload and you have to choose the best VOD platform for your content distribution. You can definitely don’t have any barriers to your sales and the platforms can provide you the freedom to set your own prices too. OTT platforms are the best way to reach the huge number of viewers towards your video content. You can target the audience basing on the usage of devices. You can also have multiple monetization options to earn good revenue from your video. Subscription Video on Demand platforms is one of the best choices for your content distribution. Platforms like Netflix have a vast number of subscribers where you can get the best out of it. You can also target the global audience across the countries. AVOD is generally referred as the Ad based VOD model which is available for free of cost. The credit doesn’t matter. The only thing matters are your video and its quality content. AVOD is generally explored by very few businesses but still, it is very effective if you have the capability of creating efficient and effective video content. Therefore, these are some channels to distribute your content and generate good revenue from the videos. You will get some good idea about the video content distribution channels.